[2015-10-10]: I made some minor edits to this post to remove some content that I now feel is superfluous. These edits did not change the substance of the post. With the phenomenal and growing successes of the iPhone App Store, the Android Market, and the Xbox Live Indie Games marketplace, gamers have seen an unprecedented number of titles which could be described as "clones" of more successful games—or rip-offs, if you're feeling less kind. Along with these titles has come a veritable tsunami of hatred for their developers, from game critics and anonymous Internet commenters alike. The commercial success of some of these titles, such as Angry Birds,1 has shown that average gamers are happy to patronize any developer who can provide a fun experience, regardless of originality. However, any mention of a new clone on a gaming blog or podcast inevitably brings about a stunning amount of vitriol from gamers who, presumably, are upset that their favorite megacorporations aren't getting their due. I don't understand this, but my best guess it that it stems from a misunderstanding of the motivations of game developers, and of the development process itself. I hope that by illuminating those things I can do something to stem the tide of rage and indignation. First, though, I'd like to briefly discuss the legality of game clones. The patentability and copyrightability of game mechanics and "look and feel" varies from country to country. Notably, the European Patent Convention explicitly states that "schemes, rules and methods for performing mental acts, playing games or doing business, and programs for computers" are not patentable, whereas no such restriction exists in the United States. There are several notable examples of game-related patents in the United States, but the industry is young and there are relatively few legal precedents on their enforceability. I am not a lawyer, so it would be unwise of me to assert too much here, but I will state that throwing around terms like "copyright infringement" is neither productive nor terribly meaningful when discussing game clones. I'd also like to make clear that by "clone," I mean a legitimately developed game with similar gameplay mechanics and/or art style to an established title. I am emphatically not referring to situations in which actual code or art assets have been used without permission; under no circumstances do I condone actual copyright infringement. Finally, in the interest of full disclosure, I should also inform you that I have a dog in this race, so to speak: my game, Puzzle Panel, borrows gameplay mechanics from Tetris Attack and takes artistic cues from World of Warcraft. 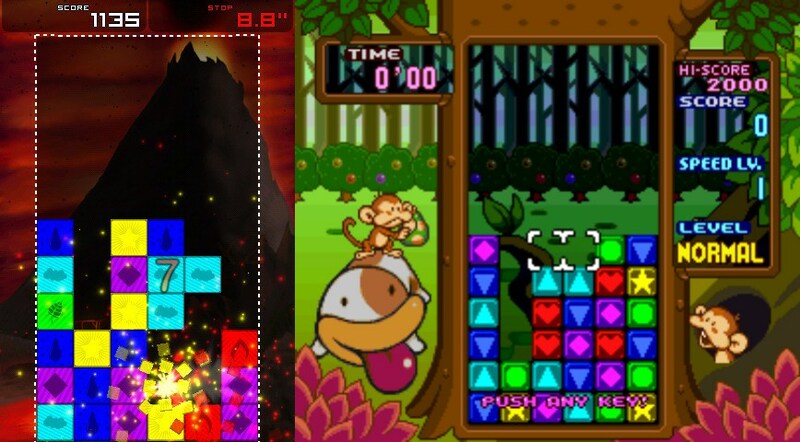 A comparison between Puzzle Panel, left, and Tetris Attack. What a shameless rip off. It's good that Ed is cool about it and all, but if I was him I'd be raging. Both Apple and Android need someone doing some quality control on their aming services to screen out blatant rip offs like this. As I've already mentioned, I don't think Tobar, nor other games like it, deserve the hate they receive. There are a number of reasons why I feel this way. First, all art is iterative, and video games are no exception. Creativity is not binary, but is a matter of degree. Second, when indie developers borrow from established properties, there's little evidence that it's detrimental to the owners of those properties, whereas it may be extremely beneficial to consumers. Finally, I feel that there's a misconception that games like Tobar exist because lazy, greedy developers want to make a quick buck and can't be bothered to do the work to come up with an original title. That perception is wrong on many levels, which I'll discuss in further detail in the following paragraphs. The apparent trend of smaller developers "ripping off" well known games is probably an illusion. It's likely that these are simply the instances of liberal borrowing that we hear about, due to the popularity of the "borrowee." Take Angry Birds, for example. Most people would point to it as an example of a successful, original title by a studio that was relatively small at the time of its release. 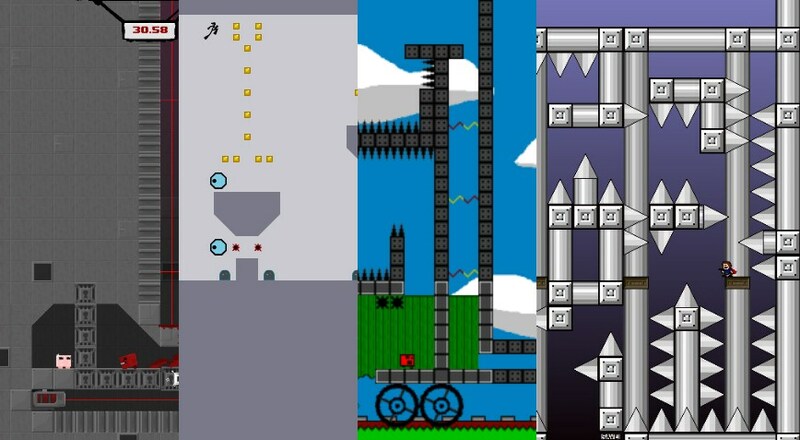 The truth is that although its art style is unique, its gameplay mechanics are borrowed heavily from an older flash game called Crush the Castle. Or how about Super Meat Boy? It surely owes some of its success to predecessors such as Jumper Two, I Wanna Be The Guy, and N+. A comparison between Super Meat Boy, N+, Jumper Two, and I Wanna Be The Guy. Granted, each of these games have their own original elements, whereas Tobar at least appears to be a fairly direct attempt at reproducing Super Meat Boy. But every great game stands on the shoulders of giants, and every developer has to start somewhere. Games like Tobar should not be condemned as soulless exercises in profiteering, but recognized for what they are: a means for inexperienced developers to hone their skills while contributing to new markets, much as a musician might start out by covering popular songs in venues where the original artist would never perform. Words like stealing and theft are often thrown around in discussions of game clones. But one of the defining characteristics of theft is that it deprives the owner of his or her property. What harm is the existence of Tobar doing to Team Meat? Given that Team Meat's Tommy Refenes has publicly stated that he has "no intentions on doing anything for iPhone or iPad ever...I hate the [iPhone and iPad] platforms and I hate the [app] stores," Tobar is in no sense a competitor to Super Meat Boy. I don't know the developer of Tobar, but I'd wager that his intent was simply to bring gameplay he loves to a new platform that he's passionate about. Passion is exactly why I created Puzzle Panel; I wasn't looking to make quick money by ripping off someone else's creativity and putting it on a new platform. Rather, I wanted to share a game that I loved with an audience who might have never seen it before, on a platform where it was unlikely to ever see the light of day otherwise. I am not a veteran game critic who values unique mechanics above all else because he's seen most gameplay elements a thousand times before, nor am I a would-be artiste desperately attempting to create a legacy for himself. For these reasons, I value fun over originality. If people enjoy my game, that is enough for me. If a nervous child at the doctor's office finds solace in something I've created, my work has paid off immeasurably. If I can contribute just a little more happiness to someone's life, I am satisfied. "If the motivations of indie developers are purely in the interest of gamers," you might ask, "why charge money for these clones?" Well, the reasons are simple. First, we're human, and we need to eat; it's nice to get paid for one's work, even when said work is not completely novel. Second, even discounting the dozens or hundreds of hours of effort required to make the simplest of games, there are significant up-front costs to developers in creating games. Developer licenses, development software, test hardware, and licensed or commissioned music, sound effects and graphics add up very quickly. I did all of the programming and artwork myself for Puzzle Panel, as well as much of the sound, and it still cost me over $1,000 to make. To a student, that is a great deal of money. I charged a dollar for the game, but in the end I recouped none of the cost of creating it. I don't regret a thing, but this illustrates the point that game development is anything but a quick and surefire way to get rich. For every developer making money on their games, there are literally tens of thousands who sink in countless hours and significant money, only to receive nothing in return. That being the case, I don't give much credence to the argument that developers such as Tobar's are just in it for the money. 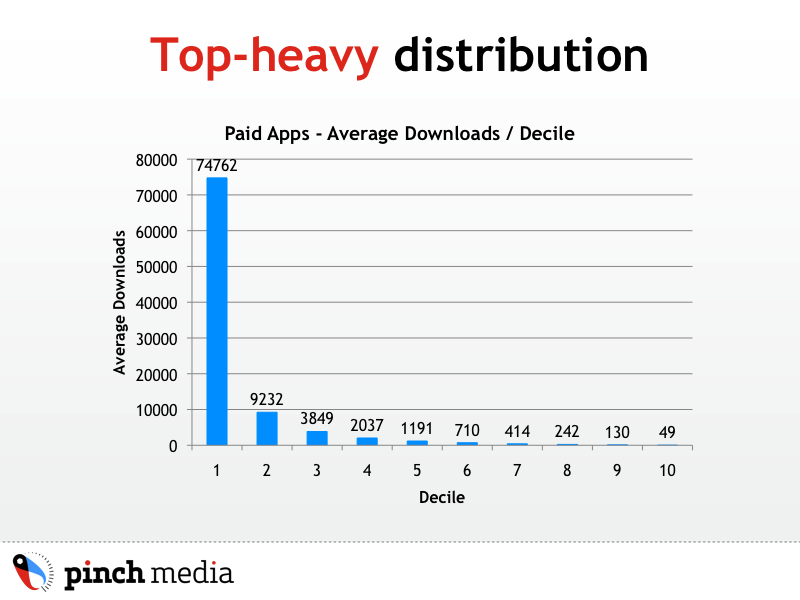 PinchMedia's statistics show that the top 10% of paid apps receive more than 80% of all downloads; most developers are left in the cold. Thus far I've been writing specifically about indie developers. I'd be remiss to not mention that established, big-budget studios often clone each other's games, or worse, the games of indie developers. I'm much less sympathetic to this; particularly in cases like Capcom's obvious copy of indie hit 'Splosion Man. But although I personally find this distasteful, I still don't see a great need for alarm. A well-made, original title which has found an audience has little to fear from pretenders. Now, please don't misunderstand me. I am by no means saying that every developer should just go out and rip off the biggest franchise he can because there's nothing wrong with unoriginality. On the contrary, innovation and creativity should be encouraged and rewarded, and while I think it's fine for hobbyist programmers to start out by mimicking their favorite titles, we should definitely turn a more critical eye to established studios who have the time, budget and experience to be original but are content with releasing an endless stream of sequels, clones and remakes. But please, let's cut the indie developers some slack. Cloning a popular game to make a quick buck is simply not a winning proposition. Regardless of their originality, regardless of their financial success or failure, I can assure you that indies do it for the love.